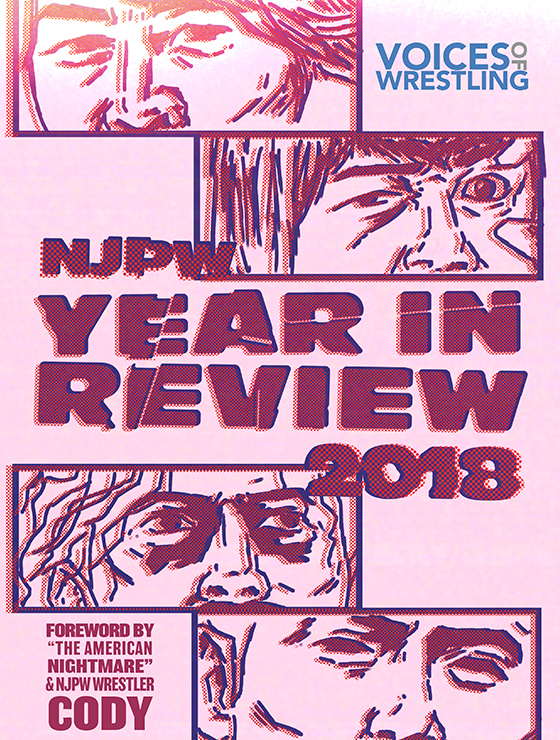 The absolute selfish bastards in the Pro-Wrestling NOAH organization opted to have their annual round-robin tournament more-or-less right in the middle of my annual break. 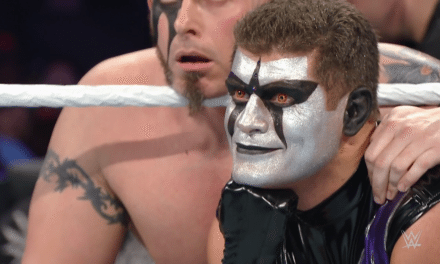 Ever since landing back in the country I’ve been struggling to play catch-up and get the lowdown on the subplots and lead exchanges in the tournament, or even just to catch a general sense of which wrestlers are impressing and which are just padding through the tour. Let’s therefore assume that I’m coming at this show with fresh eyes, that I haven’t seen any of the tournament (I have, but just odd matches here and there) and all I know about the permutations moving forward are what are explained during the broadcast in Japanese. Korakuen Hall looks pretty full, not quite rammers, but the 1,850 who have paid in are making a pretty decent noise so there’s a decent chance of that rare phenomenon of a good NOAH show with an excited crowd. Treasure this moment, people. BLOCK A – Naomichi Marufuji vs. Shane Haste: It looks like, having suffered three defeats thus far, Marufuji has no chance of adding the Global League to his accomplished 2014. Regardless, the current GHC Heavyweight Champion is in no mood to further tarnish his record. In the opposite corner is Shane Haste, emerging with a losing record but a prized win over former four time world champion Satoshi Kojima to ease the mind. BLOCK A – Akitoshi Saito vs. Colt Cabana: It would be a hardy or peculiar few who had this match pencilled in as a particularly brilliant spectacle but I must admit I did enjoy the freakshow value of the leading US independent circuit wrestler-clown working toe-to-toe with someone who looks like he just got off attaching concrete shoes to the enemy of his underworld boss. 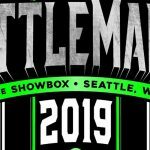 BLOCK A – Daisuke Sekimoto vs. Katsuhiko Nakajima: If you’ve been reading my home blog for a little while now then I guess you’ll realize that my anticipation level for this match stretches beyond the ordinary. Factor in a situation that puts the winner in the Block A driving seat and you’ve got all the makings of a humdinger: two excellent workers with a great individual style, and an actual reason to go for the win. What I really like about Sekimoto is, despite being a roaring man beast, he isn’t above selling for a guy 50/60lbs lighter. It’s easy to believe Sekimoto can ragdoll Nakajima and destroy him with lariats and that gorgeous Stalling German, but the way that Sekimoto winces in anguish whenever Nakajima finds his mark with several stinging kicks gives this match a really gripping edge. BLOCK A – Satoshi Kojima vs. Takeshi Morishima: Sekimoto pulls up a chair, puffing and panting and wearing an ice-pack after 12 minutes of nerve-shredding intensity, but watching with intent as Satoshi Kojima fights for a place in the final. 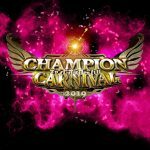 In addition to a storied career as a four time heavyweight champion, Kojima is something of a tournament expert, winning the G1 Climax, the Champion Carnival and the Fire Festival. What’s also interesting to note is that despite working against the leader of the heeliest heel stable ever to work NOAH, Kojima as a NJPW-identified worker, is forced to work heel against a chorus of boos. Even when Cho Kibou-gun are putting a kendo stick to the back of a stricken Kojima, Kojima stays a heel. Fair enough. 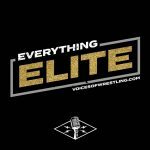 BLOCK B – Masato Tanaka vs. Mikey Nicholls: If Tanaka wins then he ahead of the pack on five wins and set for a final against Sekimoto provided Yuji Nagata doesn’t pick up a win. 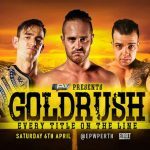 In his way is the young Australian Mikey Nicholls, who in a similar fashion to his TMDK tag team partner boasts a fine win over a legend (Nagata) though his overall record leaves him out of the running. Nicholls has also been thwarted by the grizzled Tanaka in a significant fashion in 2014 on two occasions, as TMDK failed to capture the GHC Tag Team Championship from Dangan Yankees (Tanaka and Takeshi Sugiura). This weight of history or the daunting presence of Tanaka does not hamper Nicholls, as he scurries around, winning fans over and looking every inch Tanaka’s equal. BLOCK B – Mohammed Yone vs. Yuji Nagata: The ball is knocked squarely into recent GHC Heavyweight Champion Yuji Nagata’s court, needing just to dash off a win to make consecutive Global League finals. His opponent, Mohammed Yone, was vanquished as part of Nagata’s run with the big belt, putting the weight of expectation firmly on the legend’s shoulders. Nagata, like Kojima, works as a heel invader, his Fighting Uncle routine coming across more like sadistic dickhead. Yone might possibly be underrated, as their encounter at Navigation With Breeze showcased more than just a big guy with an axe kick but a fine big man with good personality. BLOCK B – Takashi Sugiura vs. Maybach Taniguchi: This was interesting. Both men need wins to make the final, so it’s winner takes all. The rugged former GHC Heavyweight Champion and current GHC Tag champ against a masked man groomed for success and recently featuring in a main event for the world title. It should be compelling. 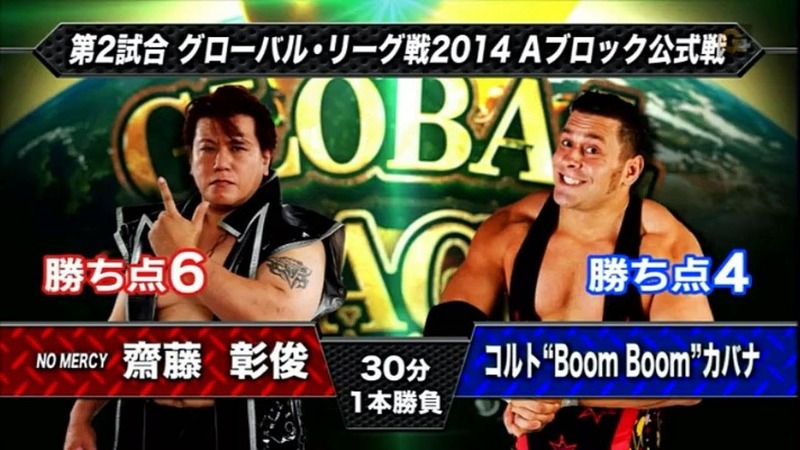 GLOBAL LEAGUE 2014 FINAL – Takashi Sugiura vs. Daisuke Sekimoto: Of the potential candidates to make the final, this combination not only represents what I would have considered an unlikely pair, I’d have to say that this approaches something of a dream pair. 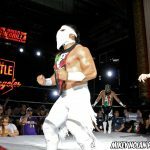 There’s a little history to draw from, as Dangan Yankees defeated Sekimoto and Kazuki Hashimoto for the NWA Intercontinental Tag Team titles in Zero1 (though admittedly that is not a huge factor here) and in terms of delivering solid, NOAH-style, believable wrestling performances there can’t be many better examples out there. The two opponents are well-matched despite some apparent disparities. Sekimoto, a failure in his bid to capture the GHC crown at the Great Voyage in Yokohama event, is a 16-year veteran (despite being 33) with a roughly-hewn style on the offensive that sometimes obscures his subtleties in selling and structuring matches. Working in the relative obscurity of Big Japan perhaps doesn’t do him the best service, but he’s a convincing pro-wrestling lifer working at his peak. 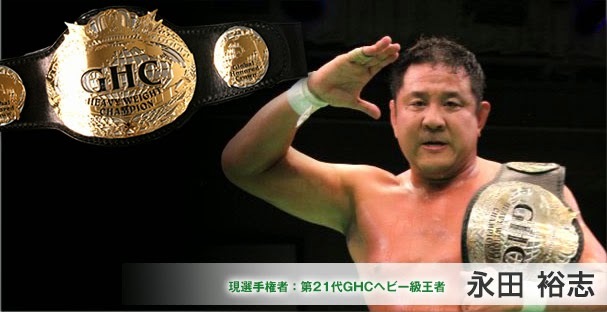 Sugiura, who has held every major NOAH title and racked up the second longest GHC title run, debuted not long after Sekimoto after successful legitimate sporting career in judo and background in amateur wrestling. His emergence around the same time as the commencement of NOAH as a promotion aided his career in much the same way as Marufuji and KENTA benefited, finding his legitimate credentials played up the same way as Kurt Angle’s was being around the same time in WWE, working remarkably similar movesets: Olympic Slam and Ankle Lock in particular. Eventually he’d find his own voice and direction in age, becoming increasingly flinty and resilient, looking comfortable alongside legitimate heavyweights. For his year alongside Tanaka alone, he deserves plaudits. The match between the pair is befitting of their journey and the status as tournament final. Sekimoto roars like a wounded banshee, firing his way through destructive forearms and lariats, very much the fire to Sugiura’s ice; stolid, squat, refusing to budge, tackling the project of Sekimoto’s bulk with the same grim visage he adopts from day to day. They start hot and cleverly rise and fall through the opening half, splitting the difference between passion and psychology, drawing out their fighting personas and dividing the hall between either man – but crucially, all are invested in this battle of wits and wills. Sugiura’s win is a popular one. 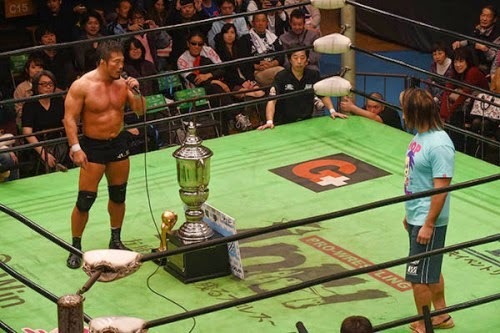 Marufuji emerges to cordially congratulate the winner, letting him know he anticipates their title match at Great Voyage in Tokyo in early December. Sekimoto staggers around the closing presentation, either selling brilliantly or legitimately hurt. 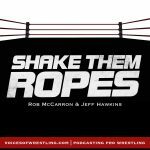 NextVoices of Wrestling #100: Trainwreck!